The array of new technologies that came on the scene in the early 20th century resulted in widely varied new forms of military special operations once civilization embarked on its greatest war. Suddenly, fighting men could be delivered by parachute, submarine, glider, jeeps, and fast amphibious craft deep into enemy territory to perform special tasks; yet others would continue to perform missions the same as their ancestors in previous wars—on foot using stealth, endurance and patience. This work contains discussions of the employment of various special purpose, special mission organizations during World War II. These units operated in Allied and Axis countries and in various theaters of war including Europe, North Africa, the Pacific, Asia, and the continental United States. Representing every major combatant, the operations include various kinds of raids, intelligence gathering missions, support to partisan/guerrilla groups, prisoner rescues, direct-action missions, and at least two where the object was simply to steal something. Some missions would have been officially denied if the operations had been caught in the act. The book is divided into two sections: Behind Enemy Lines and Behind Friendly Lines, to demonstrate that special-purpose organizations can be employed wherever needed, even in areas controlled by military units of their own or allied countries. Many of the units described run the gamut of special mission types, from commando to parachute units, reconnaissance to sabotage units, and partisan training units as well as those with combined missions. Many of the operations described in this book continue to serve as templates for modern Special Operations missions, while still others—the first attempts of their kind—continue to serve as examples of what not to try under the circumstances. Michael F. Dilley served for 20 years in the U.S. Army's Military Intelligence branch. After retiring from the Army, the author served for about ten years as an employee of the Department of Defense, then as a contractor for various U.S. Government agencies in several fields for 15 years. 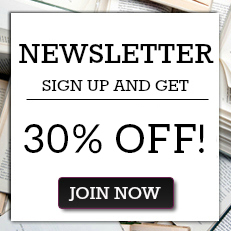 Author of several books and many articles, a number of these chapters are based on his previous writings for the legendary Behind the Lines magazine. Michael F. Dilley served for 20 years in the U.S. Army’s Military Intelligence branch. After retiring from the Army, the author served for about ten years as an employee of the Department of Defense, then as a contractor for various U.S. Government agencies in several fields for 15 years. . Author of several books and many articles, a number of these chapters are based on his previous writings for the legendary Behind the Lines magazine. "…masterfully weaves the myriad nuts and bolts of 23 selected WWII spec ops missions—rich in historical content and military significance—into the contextual fabric of the time and deftly examines the success of each mission based on criteria established by top military writers. Painstakingly researched, meticulously documented, and always readable, Dilley offers incisive, straightforward, and page-turning analysis that informs, educates, and entertains…. With books like Behind the Lines, it is certain that those who dared boldly and who lived at the tip of the spear will always be remembered, and hopefully, men like Mike Dilley will be there to write about them. Read the book! It is stories such as these that have provided material for the comic strips, novels and films of behind-enemy-lines daring and bravery for more than half a century. Michael F Dilley brings his considerable knowledge to this excellent publication, which will thrill boys, dads and granddads alikeas we approach the seventieth anniversary of the end of WWII. An important addition to the vast library of already published material on special ops groups, one that brings a fresh perspective on their activities and methods. Superb. 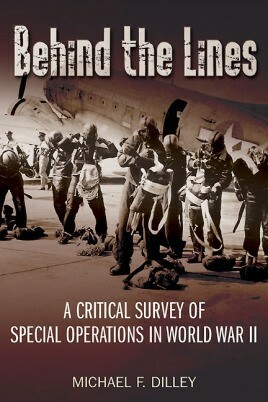 "Looking at the work of the brave Special Operations personnel during the Second World War, Behind the Lines provides critical reviews of some of the best and worst examples of the time ...passes a magnifying glass over some of the best examples of how Special Operations were successful during the Second World War, and also how they failed. The no-nonsense way in which each case study is presented not only keeps each example short and succinct, it also provides the reader with enough information to picture each scenario in their mind's eye." "...even when dealing with operations and units with which we might think we are familiar, Dilley gives us new perspectives, new insights and new and often fascinating details...a very good read." "...Dilley brings to the fore several important ideas. For example, one-of-a-kind formations such as the British special reconnaissance unit known as Popski's [Private] Army and the American Alamo Scouts inspired some aspects of what is now understood as strategic reconnaissance. This book is useful in understanding one important aspect of the development of special operations forces: training to explicit tasks. Dilley specifically assesses cases that required specialized training and, often, specialized conditions for rehearsal." The author tells at times a very spellbinding story followed by the strength of the book - a mission critique. The mission critique show Michael F. Dilley's strong military intelligence analysis skills...gets my highest praise for this much needed work on a subject dear to every world war history buff. useful as an introduction to the multiplicity of special forces units that fought in World War II and their varied missions. I was pleasantly surprised to find that the author was willing to make positive judgments, in some cases on entire organizations. Often 'critical surveys' are overwhelmingly negative, but here the author uses the full meaning of 'critical' as an analysis of something's merits and faults. That makes this a very interesting book, providing a balanced view of the activities of the many and varied Special Forces units of the Second World War, giving clear reasons for both their successes and their failures. ...written in the easy and confident style of a man with a military and intelligence background, a boon to students and general readers. The inclusion of special operations of different nationalities is laudable, as is the widening of purview beyond raiding operations alone. Dilley also avoids the pitfall of proclaiming special operations to be a decisive, war-winning weapon.